Be ready to accept appreciation for your taste in style and comfort as Diana series brings to you all the above. Diana 2 seater sofa is made of a solid wood frame for the best structure, a thick high density foam covered with chenille fabric for great seating comfort. The arm rests are contemporary, inspired by the western designs. Shop Diana sofa series and emerse yourself into the plush comfort which we call - feel athome. The fitting of the product is done by skilled carpenters using metal minifix and solid wood dowels for maximum structural stability and checked by a series of rigourous quality checks by QC team of Nilkamal at Mumbai. Solid Wood provide Sturdiness to the Sofa. 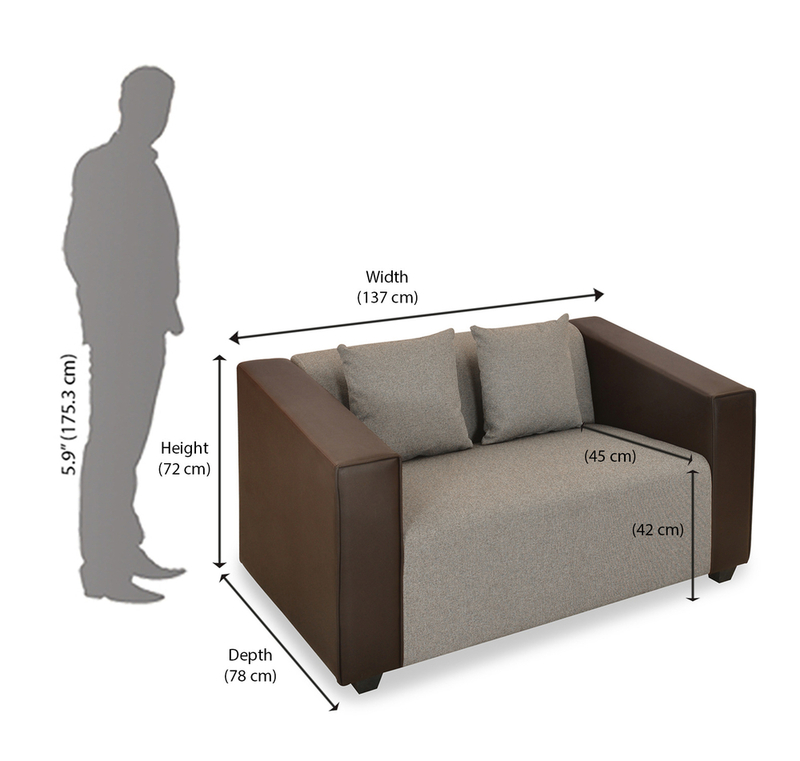 High Density Foam gives maximum comfort while seating.